The last month has been challenging the closer it came to Easter. 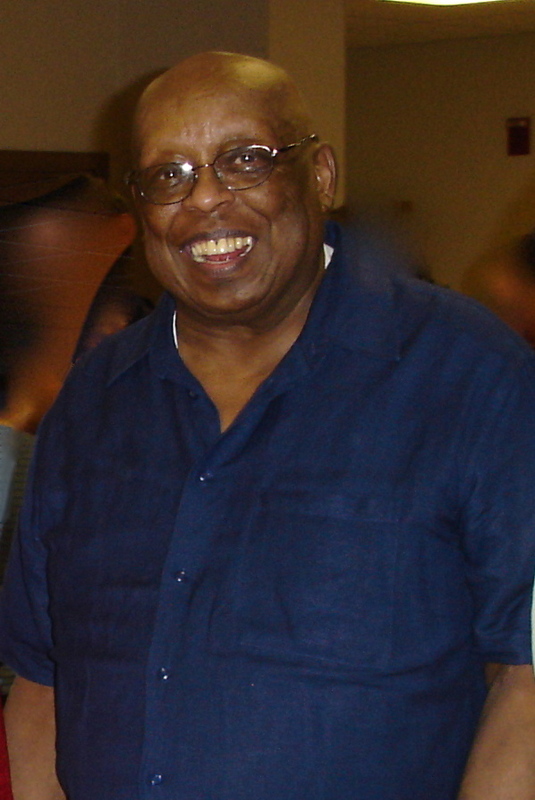 Daddy died on Easter Sunday and even though last year that date was April 24th, it didn’t matter that the date didn’t fall on the same day. Easter brought up all the memories of getting the call from hospice that Daddy was in his final moments and we should hurry if we wanted to see him before he died. We got there 10 minutes too late, which I think Daddy would have been relieved about. He didn’t want us to watch him die. We all filed in to his room to see him, all tubes removed and him lying in bed with no signs of pain on his face. I laid my head on his chest and called out, “Oh my daddy, my daddy, my daddy,” marveling all the while that his body was still warm and it didn’t feel like we got there too late. I worried about Mama and was relieved when my sister told me she would be going down on Saturday to be with her on Sunday. But Mama, always the planner had already mapped out her day. She would observe her usual Easter rituals. There would be Sunrise service at 6am with her friend Mrs. Bradley, and then Sunday school before coming home and later having dinner at a friends. The last part was the different ending to the day. Dinner with Daddy was always how Easter Sunday wound its way down in years past. But she found a way to make it through the day on her own terms. I was flailing around, wanting to be with her, wanting to be with Merrick who loved his Pop so much and was showing his own signs of missing him and us. And Easter was hard. My family went to a friend’s church with her family choosing not to go to our home church even though I’d bought a lily to sit at the base of the altar in memory of Daddy and Jordan. I couldn’t bear the part of the service where they ring a bell after saying the name of each person who died in the previous year. 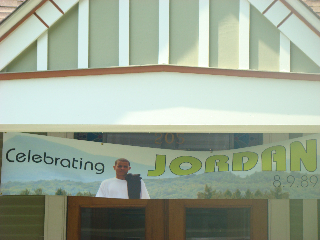 The sound of the bell they rang when they said Jordan’s name in 2008 still echoes in my heart. The service at my friend’s church was beautiful and uplifting but mostly I felt numb, still so torn that I wasn’t with my mom or with Merrick. After church when we came home I did the only thing I could. I changed clothes and lied down on my bed curling up waiting for sleep to come. Mark came into the room telling me not to worry about dinner. The most comforting part is that I knew he truly did understand. I talked to Daddy for a while telling him how much I loved and missed him and before I knew it I was asleep and I slept better than I had in weeks. Our son came to me in my dreams tonight and asked if he could be the first one today to wish you a Happy Birthday. When I told him he couldn’t he insisted he could through me as long as I didn’t utter the words before the time stamp on this email. This way, technically of course he would be first. Who can argue with Jordan? So..
“Happy Birthday, Mom. I’m your first, and will always be. Today, hear my voice in your heart as I celebrate you and this day. I miss you too. Now, not to be undone, I heard noise downstairs and the aroma of coffee brewing filled my nose. An older Presence was downstairs making coffee at an hour at only which He would be awake. I came down the back stairs of our house, warily because it was dark outside,. When I got downstairs, Pop was there, in the big chair in the corner with a piping hot cup of coffee, in his robe, his legs stretched out on the ottoman, white socks, slippers to one side.. The blinds had been pulled up, Nessie was under her covers, undisturbed by the hour or the Presence. He was looking out the window. I sat on the couch, looking at him. When I started to speak he raised his hand and commanded my silence. “Do you hear the birds singing?” he asked. “Yes,”. “Did you do what the Boy asked?”. “Yes, Daddy.” I replied. He looked at me and asked again, “Do you hear the birds singing?” “Yes, but…”. Once again, hand raised, he said, “Well, tell her I said it second. She’s my first too, you know.” I nodded. I saw a piece of paper with small handwriting on it. I woke up. Composed and sent this email. So, I’m third, and You are so loved. I hope you find peace today, and hear the birds singing in the morning. It’s quite a racket now. In the quiet hours. I love you now and obviously, forever. Birthday gifts come in so many forms. I have to say that already today I’m feeling blessed and so grateful for the love that surrounds me. I know Jordan can’t come home like he used to but the eerie familiarity of going through the same routine with Merrick that I did with Jordan takes more energy than I have sometimes. I miss Jordan and am overjoyed to see Merrick at the same time. Those two feelings housed inside me overflowed yesterday and all I could do was sit on the patio and cry. I cried and I asked God, “Why? Why did Jordan have to die?” The “whys” haven’t surfaced in a long time. But yesterday for a little while I wanted an answer from God. I wanted to know why I can’t sit around my kitchen table and look at the faces of all of my children and my husband. I wanted all of my family back. It was a why me moment that I gave into and let the tears fall. Jordan’s response gave me my answer as unsettling as it was and is. My family has not been spared the death of a loved one. Jordan’s answer is one that grounds me to the fact that we aren’t alone. There are many families just like us longing to have that seat at the table filled again. From the moment one says, “I do,” and commits her life to another the whole notion of sacrifice and compromise become a part of her vocabulary. In our early days of dating Mark and I were both weary from energy depleting relationships and wanted nothing more than to find someone with whom we could truly be ourselves. During our first date we talked of hating the game playing that had defined previous relationships we each had. We went so far as to make a pact that we’d have truth and honesty as our foundation and then we shook on it. It seemed so simple. We were on the same page and looking for the same things, a committed relationship, a partner that shared our values, someone to make us laugh and listen when we needed to unburden and cry. We have found that in each other. Mark and I have been married now for close to 24 years. We still watch our wedding video from time to time and my favorite part is after we’ve been announced to the congregation and our making our way back down the aisle, Daddy briefly stands with this huge smile on his face and pats Mark on the back. He knew I’d found my life partner. Life has caused Mark and I to face and stand by every vow that we said those many years ago. We’ve faced sickness and health, richer and poorer and during our wedding ceremony said in strong voices, “Til death do us part.” Death has come to visit, not leaving either of us widowed but taking our oldest child and testing all the promises we made to each other. Would we still be honest and open with each other? Would grief drive a wedge between us or allow us to grow closer even as we mourned in different ways. We’ve held each other in sorrow, weeping until no more tears would fall. 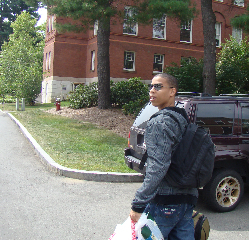 We’ve flipped through pictures of before Jordan died reminiscing and breathing the blessing that was his life. 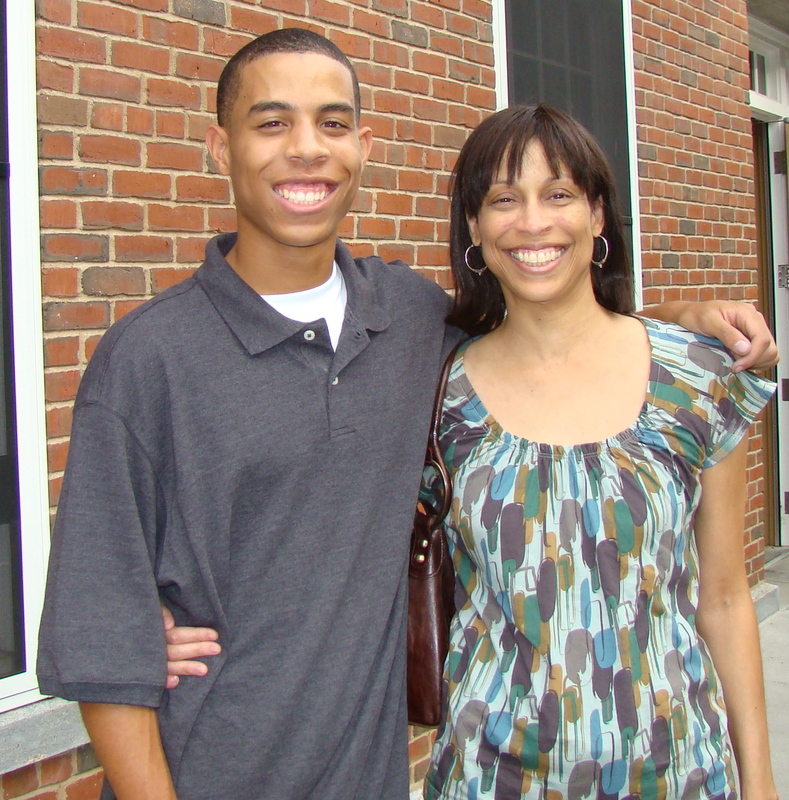 But there are times when our expressions of grief and love for our son take divergent paths. 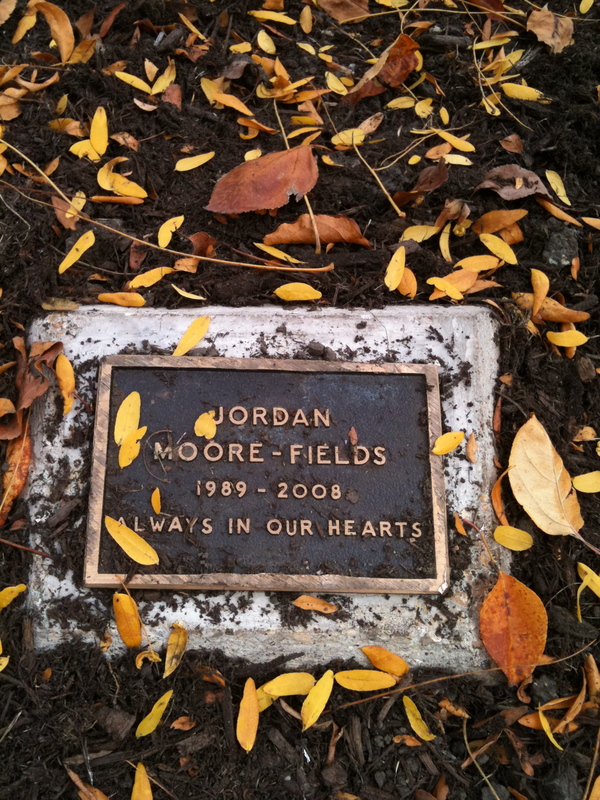 I regularly watch the video of Jordan from the memorial service. I cry every time and they are sweet cleansing tears. Mark hasn’t watched it since the memorial service. Mark occasionally wears some of Jordan’s shirts and sweatshirts and I can barely breathe thinking, “Those clothes aren’t for you.” But I stay silent because I know they bring him comfort and a connection to Jordan. It was like the picture had some force field around it. I couldn’t even go into the living room and remove it from the table. I ran upstairs and confronted Mark. I realized as I read the card that I do want to shine on and part of that for me is taking away any negative aspects connected to looking at my son. His memorial service was beautiful and as I’ve said before I wish that we’d recorded it. During the service my thoughts were far from wanting any visual reminders of the event. The first moments of walking into the church were traumatic and I gasped when I saw the picture of Jordan haunted by the too big image of him on the dais. I tried to make it through the service by not gazing directly at his picture, thinking that I could somehow preserve it as what it was before if I didn’t look at it. But I did look at it as he looked out on the congregation with a perpetual smile. 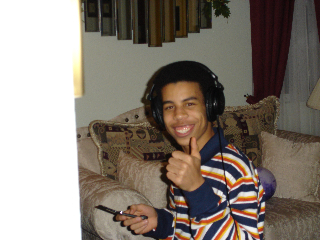 That beautiful smile that everyone who knew him commented on and all I could see at the time was a picture spoiled, totally ruined by death. How dare death make us choose a picture for a memorial service when all everyone wanted was for Jordan’s death to be a horrible mistake? So I chose instead to listen, keeping my eyes closed for most of the service and letting the sounds fill me with a peaceful connection to all that had gathered to pay tribute to Jordan. 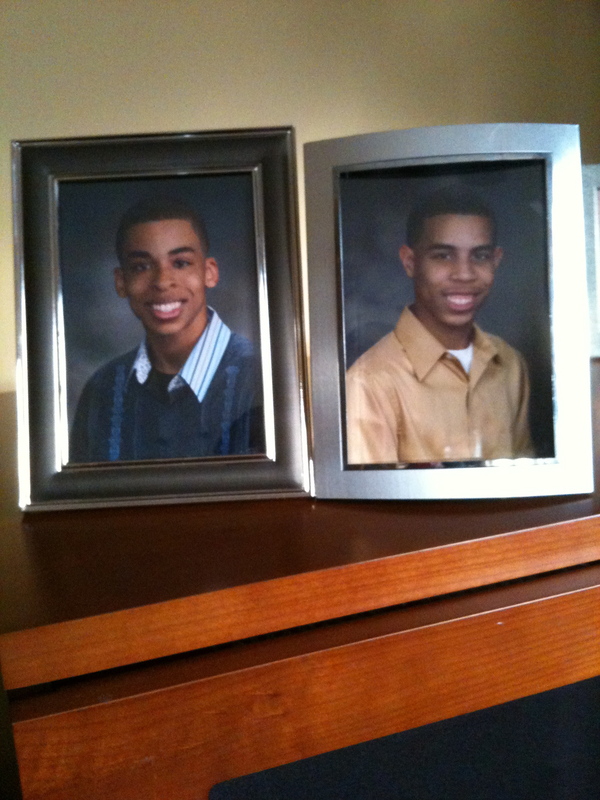 I have two boys that graduated high school and their pictures will always hold a place of honor.